I have a like-new Matterport 3D camera (delivered in late March 2015, so it is from the latest batch) that has been used for just 6 scans. Nothing wrong with it - works great. Just don't need it. I attached a small level to the top that makes it a lot easier to level than using a tripod with a level that is usually hidden by the camera protruding over it. I'd be willing to take $4,250 for it with free UPS Ground shipping within the USA. If you are outside the USA, would have to see what the costs are to ship to your country. I prefer to accept payment via PayPal (you do not have to have a PayPal account to pay by PayPal - can use your credit card instead on PayPal site). Is there a particular reason you're selling your camera? Is there an assignment from matterport? Does Matterport need to be notified? I want to bring it into Canada. What is the serial number on the back S/N?? I risk the goods arrive damaged and we are in dispute over condition. My questions [learning curve] will be loud. The manufacturers rep is not there. I am in a different country... not just across the state. Not sure the point of your post. You write as if I am forcing a camera on you and make a lot of assumptions. Sounds like you would be more comfortable buying direct. Whomever buys the camera is buying it from a company (Company 19 LLC), not an individual. There is a 99.9% chance the camera will not arrive damaged, as we have a professional and 30+ year experienced shipping department. And in the extremely rare case it did get damaged, you can file a dispute with PayPal. They protect against damaged items in any first world country. Last time I visited Canada, it felt pretty first world to me. Shipping to Canada is really no different than shipping to another state in the USA. We ship other products to Canada almost daily. It costs a little more in shipping, takes a couple extra days in Customs, and you may have to pay a duty that is assessed by your country. Otherwise, there is no difference. The warranty is still valid and Matterport still provides support for their accounts, because you have to have a monthly account to use the camera. The flat level (almost like a sticker) added to the top can be removed, but it drastically improves the usability of the camera and most people would love to have it there. 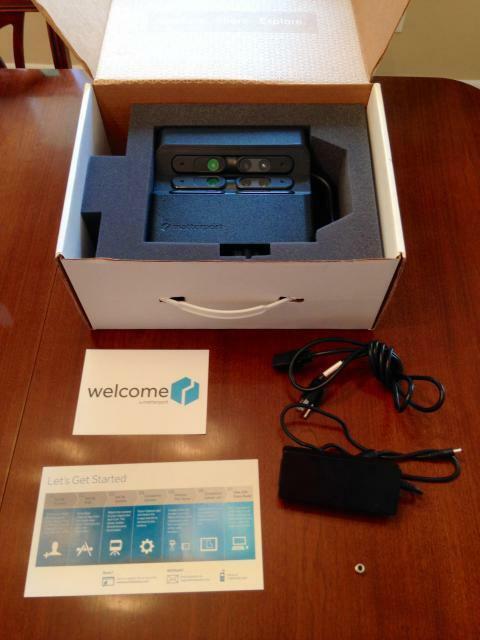 I have a like-new matterport camera that I would like to sell. I received it one month ago and used less than 5 times. It worked well but I don't need it anymore (decided to pursue a different startup idea). I also have a Manfrotto tripod and the screw-knob clamp recommended when I bought it. I would be willing to sell the whole thing for $4250 OBO (total value of ~$4700). I am interested in the camera.. Still for sale? Hi shieldsplaya- yes it is still available! Where would you need it shipped to? I live in Boston (but originally from s California). I'm happy to ship but how should we organize payment? I would like to be paid before it ships but I imagine you might not be comfortable with that. What is the best way to facilitate? I can sell through my eBay acct for example which has a perfect review over many transactions. That could work. Can you email me your phone number? or you could just give me your ebay link w a buy it now price, I am looking to get asap. Hi- I just sent you my phone number. Or I can get it up on eBay in the next two hours- just on my way home now. I'm selling a Camera on eBay for $4100 + Shipping. Used for 5 scans as a new real estate agent. I bought the Camera to try and set myself apart from my competition as tech savy RE Agent. My wife and I are expecting a baby so I had to get a job with a more steady income. This camera is in very good condition and very gentley used. If you are looking for a great deal for a Matterport Camera, this is it! I hate to part with this camera but my wife is nudging me to get rid of it. Thanks for viewing! Hi- I saw that you were working on buying a Matterport camera. Just in case you that purchase didn't work out, I wanted to let you know that I have a virtually new one (used for 4 models) that I'm looking to sell as well (with case and tripod) for $4000. Let me know if you're still in the market. Cheers! Hello guys, im selling my Matterport camera, which is in excellent condition. Going to pursue another career, meanwhile i will better of outsourcing. If you are located anywhere near Nashua, please feel free to pick it up. Otherwise i will ship it to you. I would like to offer it for $4000. I have a slightly used camera with <15 scans, with original packaging and invoice/packing slip. Price is $4,100 and includes 2day shipping. If you are buying or selling a used Matterport camera, I encourage you to do so via the eBay.com buyer guarantee - and seller protection - features to have the protections of eBay for both the buyer and seller. Plus, eBay Customer Service is available 24/7 for dispute resolution. a lucky gentleman won a Matterport camera at the inman connect matterport VIP party and sold it within 3 seconds for $3,500 I do believe. I sold mine back around Feb when I decided it made more financial sense for me to outsource the scanning process to local provider. I just don't do enough models a year to justify owning the camera, there are 3 providers near me now. obviously I'm still a huge advocate of the technology and continue to promote the models I scanned last year as well as use digital showings for all of my listings.